So I made one! Like many of us here, my car wasn't a Skyline so it wasn't included in GT6. 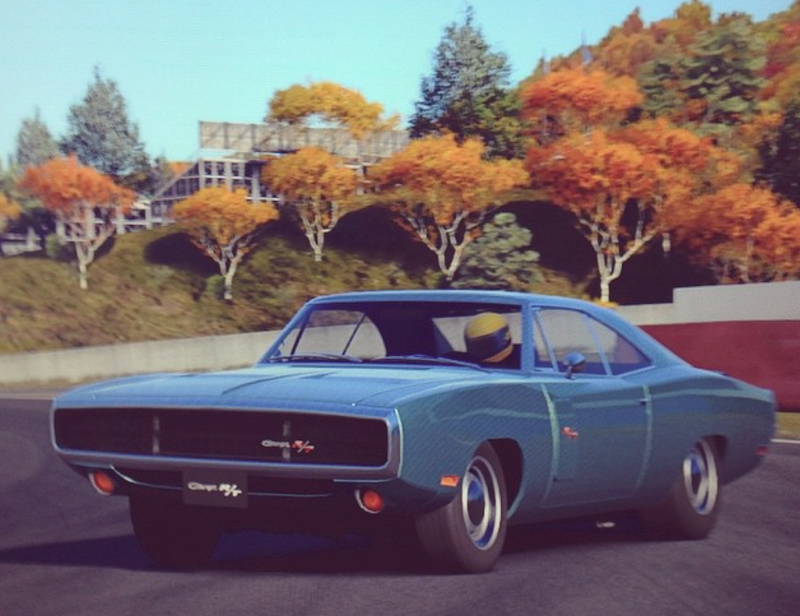 I took a 1970 Dodge Charger 440 R/T and made it as close as I could to my 1969 Chrysler Newport. The first thing I did was add weight. A lot of it. Adding 200kg of ballast brought me nearly within the curb weight of my Chrysler though technically it's still 50kg too light. Then I reduced the Charger's 375 horsepower to 290 which is what my 383 makes. I also softened the suspension and deleted the rear anti-roll bar so it wallows as my Chrysler does. Lastly, I painted it the correct shade of turquoise which is available in the game and added some silver hubcaps to cap it all off. It's so fun to drive! It rolls everywhere just like my Chrysler and it's a ton of fun. Anyone else 'build' their own car on GT6?